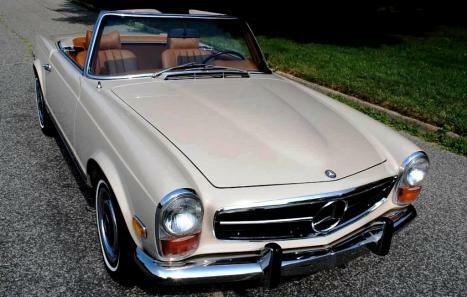 This car has been repainted in its original color combination, Beige with brown hard top and hubcaps. 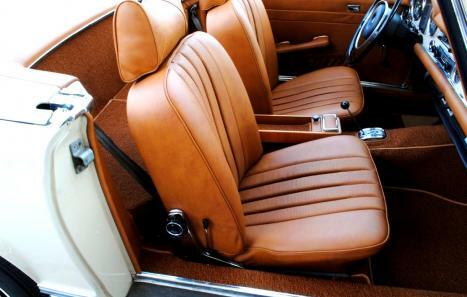 Interior was completely restored using all correct Cognac leather, (not MBTEX), all new seats, door panels, carpets (correct German square weave), dashboard, wood has been refinished. Car has the original fender notches. Engine department has been detailed, chrome is excellent. 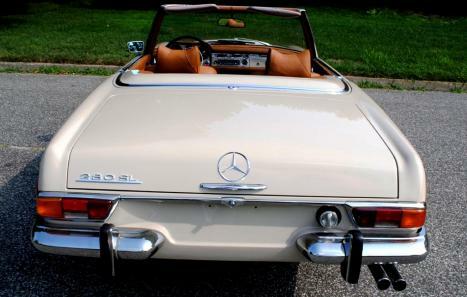 Undercarriage of this car is superb. 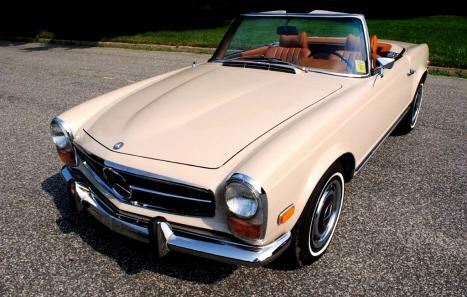 This is an excellent opportunity to own the last model year of the famed 280SL.